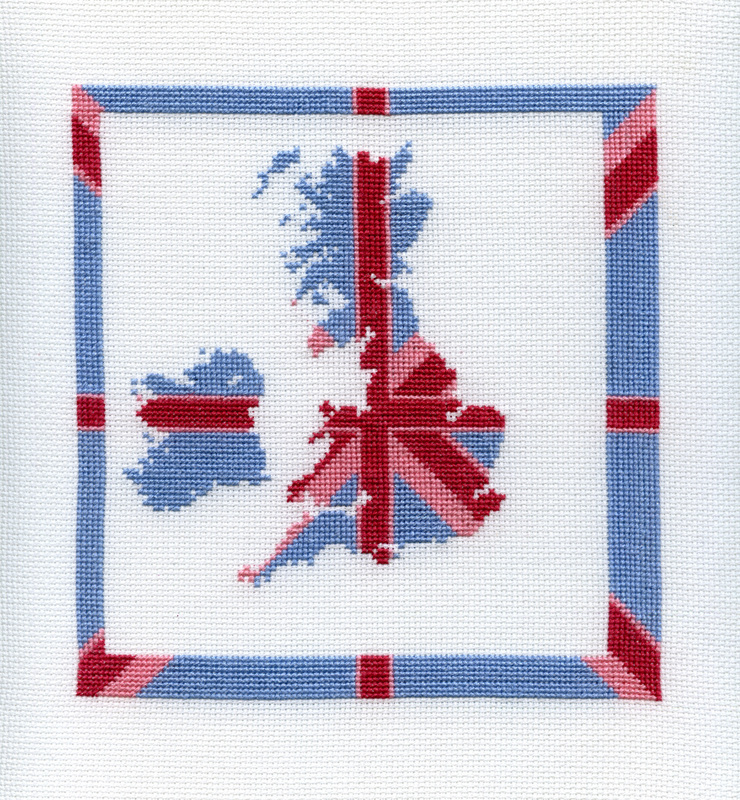 Get patriotic in style with my 'Cool Britannia' cross stitch kit. My original design combines the British Isles map and Iconic union jack in a fresh pink and blue colour way. Your kit is hand packaged in a pretty gift style bag making it a perfect present. The bag is 19cm x 35cm and light making it perfect for posting overseas. The kit contains everything you need to make this striking image. All the materials within the kit are of the highest quality, ensuring a beautiful, long lasting finish. An east to read counted cross stitch chart designed by myself (one square represents one stitch). High quality embroidery cottons, in the three colours needed to complete the picture. The kit contains functioning embroidery needles; therefore the recommended age for this kit is 12+ years. Once finished the stitched image is 15cm x 16cm.